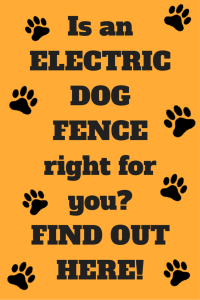 This article will help you determine if an electric dog fence is right for you. One of the most important aspects of owning a dog is finding a way to keep them safe and secure in your yard or on your property. Because DIY electric dog fences are an excellent and cost effective way to do that, they’ve become wildly popular; chances are you have a neighbor, relative or friend who has one. 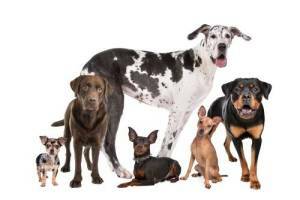 When is an electric dog fence a good choice? When are they not ideal? The 2 main types of diy electric dog fences. When Is An Electric Dog Fence An Ideal Solution? If you don’t want to spend thousands of dollars on a traditional fence such as wood or chain link. If you live someplace where you don’t want to spoil your view. If you live in a neighborhood that doesn’t allow or has restrictions on physical barriers. If you’re a renter or in a situation where you can’t install a traditional fence. If you don’t want the cost and hassle associated with the routine upkeep and ongoing maintenance of a traditional fence. If you don’t want to have to worry about someone leaving the gate open. If you have an aggressive, anxious or very sensitive dog. If you’re in a situation where you need to keep other dogs or wildlife out of your yard. If you have a dog that is pregnant, sick or very elderly. If your yard is smaller than 20 ft X 20 ft. If you can’t bear the thought of using an electronic collar (aka e-collar or shock collar) on your dog. Now that you know when using an electric dog fence is and isn’t ideal, it might be helpful for you to know that there are two types of electric dog fences – wireless and underground (aka in-ground or wired). If you love the idea of a fence that’s quick and easy to set up and can be taken with you anywhere, anytime, then a wireless fence might be your best bet. Underground fences are more work to set up but they offer a perfect solution if you need to customize the layout of your containment area in any way or if you have a lot of hills or trees on your property. So Is An Electric Dog Fence Right For You? 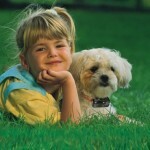 We all love our dogs and want them to keep them safely in our yard and out of harm’s way. Although electric dog fences may not be right in every circumstance, as you can see they are perfect in many situations. Now that you know where they should and shouldn’t be used and the 2 main types of fences, you’re well armed to make the decision to either join the bandwagon and buy an electric dog fence or find an alternative solution for your dog fencing needs.